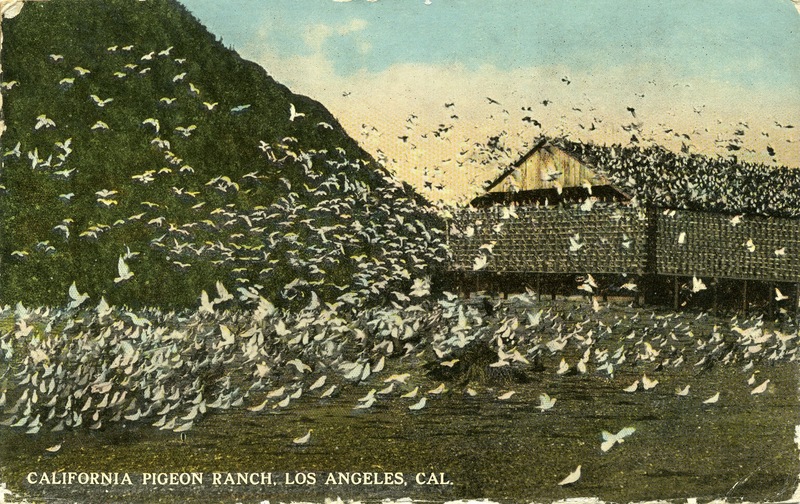 The other day I was reading about the Pigeon Ranch in Los Angeles and today I came across this postcard in my collection — in yet another unsorted shoebox. The Pigeon Ranch was located along the Los Angeles River across from Elysian Park. The pigeons were raised as a food source, squab, which was evidently very popular in those days. Founded in 1898, the ranch became a steady business until 1914 when heavy rains caused the river to swell over its banks, flooded the ranch, drowned the livestock and swept everything down river and out of existence. The owners of the ranch never rebuilt. 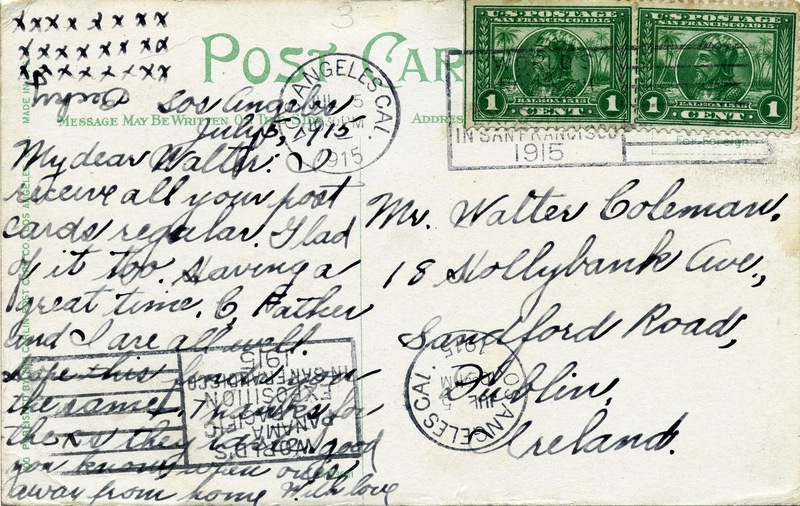 This card was mailed from Los Angeles, California to Dublin, Ireland in 1915, a year after the ranch's demise. Aside from the card's Hitchcockian frontside, I'm really thrilled about the stamps and cancellation mark. 1915 was the year of the World's Panama Pacific Exposition in San Francisco, California; this card bears the official cancellation mark for the exposition and the 1913 issued Balboa 1¢ stamps printed to promote the event. I'm no philatelist, but I still think that this is a pretty cool pairing.